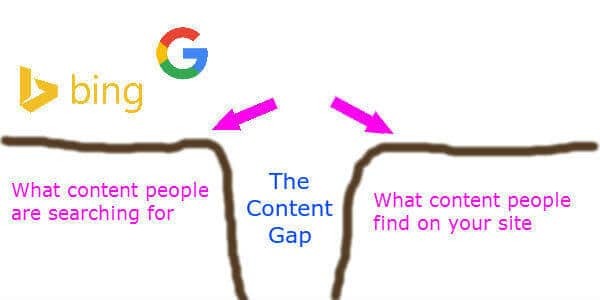 A content gap is a space between what your audience is searching for and what content they find. Identifying a content gap is at the heart of developing a successful Internet marketing strategy for your business. A content gap is an opportunity for you to connect with your audience, and establish yourself as a thought leader and trusted the source to grow your business. The best news is that you can discover content gaps with the use of free online marketing tools for small business so you don’t have to break the bank to find the information you need. Whenever someone searches for something on Google or Bing, they are looking to answer a question. If your audience is not finding answers to the questions they are asking, then you know there is an opportunity to bring them to your brand. 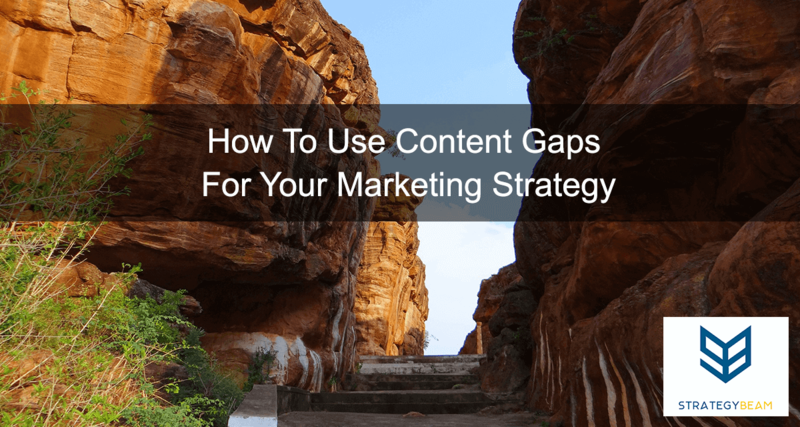 Let’s take a look at the benefits of filling a content gap, how to identify a content gap, and what content to solve the content gap. A content gap in your industry shows opportunity. Find and deliver content to drive your customers to your business and down the Customer Journey. Your business will grow and capture new market share if you find a gap in existing content. Finding the sweet spot of existing content, questions, and developing a content strategy to fulfill the needs of your audience. If your competition is not meeting the needs of your audience, then your business has an untapped opportunity to gain the trust of potential clients. Finding the gap between what your customers are searching for and the current content on your website is not an easy task. Yet, if you can provide quality content based on needs of your audience, then you will see sustained profits and business growth. If you are looking to supercharge your online marketing strategy then you should consider hiring a professional freelance copywriter. Build a relationship with the reader. To find gaps in existing content within both your industry and in your business content will require you to put on the hat of an investigator and think like Sherlock Holmes. As you go through this process be sure to keep in mind the benefits that a content strategy will have for your business, and always keep your eyes on the needs of your audience. Here are the general items you need to look at and the process to follow. Think like your audience by searching for terms and content that your audience would be for. Process your findings and balance between what content exists and what content you think is missing. Choose angles to attack the gap with the intention to capture the niche and build your authority in a right section of the industry. Now comes the hard part. Once you begin looking at the needs of your audience, you will need to start creating, distributing and measuring content to meet the needs of your audience. This entire process will guide your content strategy. Where there are potential opportunities to establish yourself in niche segments? Where your current content could be missing the mark. How can you apply your content to drive your market? The key to finding and filling a need in the market for high quality, relevant, and valuable content is understanding what your audience is looking for. If you start with your audience then work backward, your business will find the path of least resistance to deliver great content to your audience. Hiring a great Content Marketing Strategist who knows how to build and deliver a winning marketing strategy is a great idea. Once you can identify content gaps in the market, you can begin to establish yourself as an authority. Since people are searching for that content, you will see growth and grow your bottom line. If you know what needs that your customers have, you can produce great content in a way to meet their needs and increase your revenue. Begin building your marketing strategy by identifying a content gap in your industry to find success! Now it’s your turn. What industry are you in, and how has your content marketing strategy been shaped by creating content to fill the content gap for your business? Let us know in the comments below! If you want to grow your business and increase traffic with content creation then ask for more information to work with me on your digital marketing strategy!